It is a truly delightful sight to see our cinema industry taking a more stable path after years of stagnation. Yet, as they say that one should look before they leap; brand placement should be treated exactly like that by filmmakers in Pakistan. While the cinema industry has been on a revival spree for some time, if our filmmakers want to ‘go where no one has gone before’, they have to have some insurance. The local and international brands including those of banks, ice creams, fast food chains and soft drinks give that insurance to filmmakers who are still trying to find a winning formula for their flicks. Brand placement is not something new for films in the country – there was a time when brands like Dalda and Bano were part of songs (Lampak Shoo from Eid Mubarak, 1965) and no one objected to that. Coco Cola is said to have been the inspiration behind Ko Ko Korina (Armaan, 1966) and Zaalima Coca-Cola Pila Day (Chan De Soorma, 1986) and both the numbers are still popular despite the passage of time. Although the fact that such placements have proven to be a great support to filmmakers cannot be argued, the industry has yet to learn how to intelligently include a product in our film scripts without being in your face or plain irritating, which seems to have the risk of making cine-goers lose their patience and eventually driving them away. Only some time back, Ho Mann Jahaan, featured Coke Studio majorly and except for mentioning the show’s name, never did name the soft drink although it was shown here, there and everywhere, which did not contribute to any viewer botheration. Many might disagree with me but for me, the Tarang song in Jawani Phir Nahi Ani was an ideally carried out brand placement as the number talked about jod, which is the tea whitener’s Unique Selling Proposition (USP). Also just recently, Punjab Nahi Jaungi integrated a couple of products with the script well. The address to Heer Ka Mazaar was advertising well put highlighting the branch of a prominent bank. In 3 Bahadur, product placement was used to raise awareness amongst children about the benefits of banking, developing a habit of drinking safe milk and availability of food options; although the scenes would have done well without references to the bank, the milk, and fast food. There was the use of Meezan products in Teri Meri Love Story; where it was awkward to say the least, with the complete cooking oil tagline narrated on-screen in a totally irrelevant scene leaving the viewers unamused and unsatisfied. 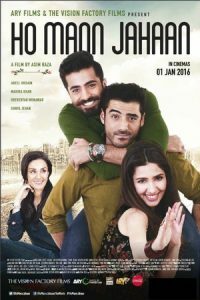 In Lahore Se Aagay, director Wajahat Rauf used KFC’s presence in Pakistan well, but inserting a whole sequence in a bank became too much for the audience, especially when they had gone through the same ordeal in the first film! 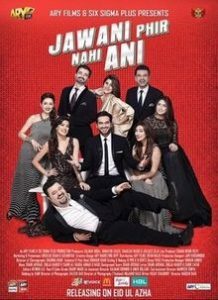 Then in Pakistan’s most successful film to date, Jawani Phir Nahi Ani, the sequence in which Humayun Saeed’s character gives away tokens of love to families of his friends – from video games to jewelry to branded mobile phones – the scene shot at Port Grande had everything. Further more so than the audience could digest, the sequence at McDonald’s where Humayun Saeed’s character makes his friends’ families eat branded ‘sandwiches’ before meeting his ‘fake’ doctor and slapping him for disclosing his ‘disease’ and the winner of it all; the ‘Fair & Lovely ka jalwa’ song, which although was a major irritant for the audience, yet made them understand that branding and brand placements can go long way in safeguarding the interests of the project! 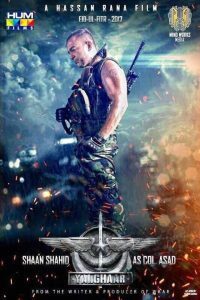 Brand placement was at its ‘best’ in this year’s Yalghaar where Bank Alfalah’s Chief Marketing Officer, Aly Mustansir, was cast as an army officer and the bank’s credit card was used on multiple occasions, making us pretty much believe that army officers usually don’t carry cash. 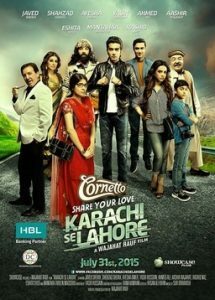 The film actually reminded one of the brand placements in Karachi Se Lahore where Cornetto was used excessively. Maybe, had the brand only been used at the end, the film might have been memorable for things other than Cornetto. Then there was the involvement of a brand in one of the unreleased (read postponed) films where an incomplete flick was shown at the premiere just to coincide with the ongoing campaign of the brand. Having seen the premiere, I could only thank God that sanity prevailed and the film’s release was postponed. Had it been allowed to go ahead, critics would have torn the film as well as the brand apart for being hasty in releasing the flick. 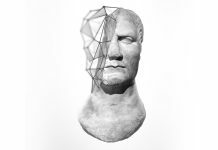 It is essential for filmmakers to understand that the main motive of movies is to entertain people and excessive branding will result in driving the already minimal audience away. Filmmakers should not allow brands to dictate; rather it should be brands that carry themselves through a film according to the requirements of the film, as communicated by the filmmakers. A film might survive without brand placement, but for brand placement, you still need a film. Previous article…AND WE BEGAN OUR RAMZAAN WITH THESE!